Time lapse of sunset clouds surrounding the Rainbow Bridge. hd00:10Beautiful sunset time lapse over the skies of Tokyo. hd00:12Beautiful sunset time lapse over the skies of Tokyo. hd00:15Clouds time-lapse while sunset at rooftop. 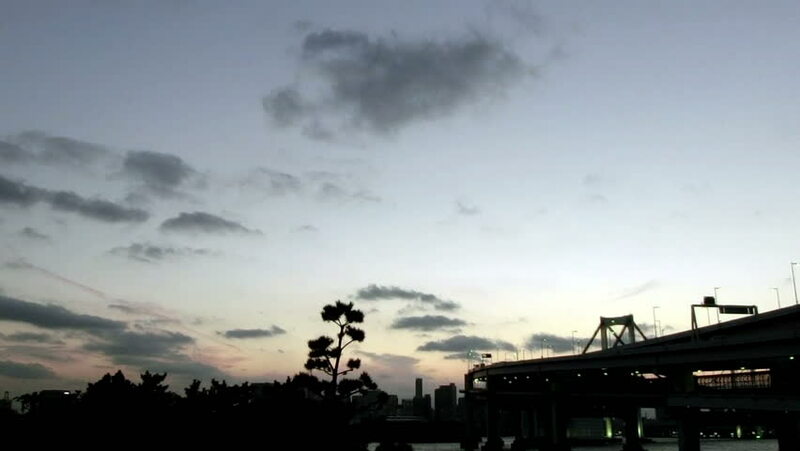 hd00:10Time lapse view of Tokyo Bay's beautiful moments at twilight.